As Britain’s leading independent garage scheme with almost 2000 members, we pride ourselves on looking after our garage’s customers. This is why we have our Customer Charter, which shows our commitment in providing the best possible care to those who pay for a service, MOT or repair at any of our garages. Unfortunately, some franchised dealers and other independent garages don’t have the same idea. Let’s take MOT tests as an example. This statement is taken from the government’s own website, and it appears to give a perfectly clear and straightforward message for motorists. Unfortunately, the way we treat the MOT test, both in the motor trade and as private motorists, allows commercial considerations to get in the way of safety. What this often means is the cheapest MOT test is not necessarily the best. This point should be immediately clear to even the most cost-sensitive motorist. The tests can only be conducted by a trained and qualified individual; he or she will require sophisticated, expensive and regularly calibrated equipment and the test should take around 45 minutes to complete. Garages charging around £20 for an MOT test – or even less in some cases – are not charities. The result is that the overall bill may be significantly higher than expected as the garage seeks to cover the cost of providing the MOT test at an unrealistic and headline-grabbing price. And the financial pressure on motorists today means that they are not entirely innocent when it comes to their MOT test, either. Many motorists today use the MOT as an alternative to regular maintenance and submit a car for testing to “see what it fails on” rather than presenting a properly maintained and safe car in expectation that it will pass. This means that they only deal with the failures rather than ensuring that the entire car is safe and reliable. As an MOT test is a measure of the minimum mechanical standard of a vehicle at that time, this means cars that are between tests may be in a particularly poor state of repair – or even dangerous. So, a lot of garages respond to this by offering a “no re-test fee” for failures and the cycle continues. 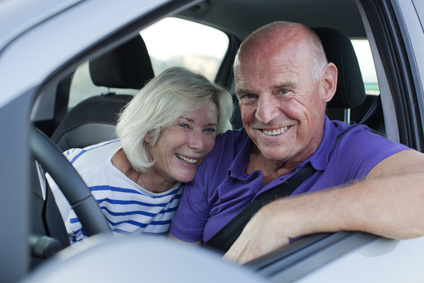 Franchised dealers, with their high labour rates, have often been known to treat the MOT as a loss-leader to retain customers with older vehicles. They also try to give the impression that their MOT test is somehow superior to ones carried out by an independent garage. Well, this tactic is clearly not working as more than 80 per cent of MOTs are carried out in independent garages. The UK has one of the best road-worthiness test regimes in Europe, which is reflected in the high levels of road safety compared to some of our European neighbours. But we, at Trust My Garage, are worried that the downward cost spiral for the MOT test in our ever competitive world means that this situation may not last. So, where does all that leave you, the motorist? The obvious answer is to place your faith in Trust My Garage. Even if the price is discounted, a motorist can take comfort in the knowledge that any one of our garages will do a proper job – and charge fairly for only those parts that need to be replaced. In the longer term, the answer is a fixed, or minimum, price for MOTs and a mandatory re-test fee. After all, fair pricing for MOT tests is not only better for motorists, but for garages too. And it will be great news for other road users because more cars will be safer if the industry overall cleans up its act. The Independent Garage Association will continue to lobby and campaign for the government to enforce this. It is one of the roles of Trust My Garage to educate people to the reasons behind this stance. Do you want to know where your nearest Trust My Garage is for an honest and professional MOT? Just type your postcode into our garage finder to find your nearest member. As we wave goodbye to the glorious summer sunshine, and wake up instead to morning mist and fog-bound roads, it’s time to give some thought to what you would do if you found yourself stranded in your vehicle for several hours as a result of bad weather. Motorists in the recent 100 plus vehicle pile-up in Kent, which many say was caused by people being caught out by the thick fog, were trapped in their cars for a long period while the carriageway was cleared. No doubt you will also remember the scenes last winter when motorists found themselves trapped in their vehicles as Britain experienced unusually heavy snow and ice. 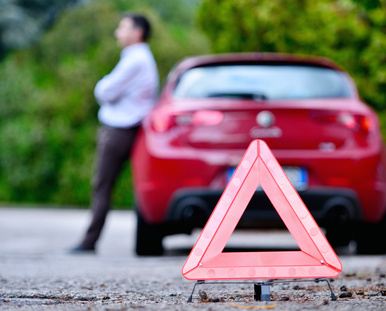 Each year, motorists find themselves stranded following vehicle breakdowns. If you are setting off on a long journey, imagine yourself being stuck in your car for two hours or more, and ask yourself what you would find really useful in this situation. If you are stranded in a vehicle for any length of time, you will quickly become dehydrated. Make sure you take plenty of bottled water with you, and perhaps some fruit juice. It will be a judgement call on how much you will need to drink as you may not be able to get to a toilet for a number of hours, so it’s better to take small sips regularly rather than gulping down a whole two litre bottle in a short space of time. Keep one or two blankets in the boot. If you are stranded in cold weather, particularly in deep snow, you will only be able to run your car heater for short periods. Hypothermia can set in very quickly, so it is important that you keep your core body temperature up. Fleecy blankets will stave off the cold until help arrives. Being stranded may make you late, and you will need to let people know where you are so they don’t worry unnecessarily. Make sure your mobile phone battery is fully charged before setting off on long journeys, or make sure you have an in-car charger with you. Use travel apps if you have a smartphone to keep up to date on travel news if you are stranded in motorway traffic. Remember, it is illegal to use your mobile phone whilst driving, so only use it when you are completely stationary and it is safe to do so. In the case of a breakdown, always have the telephone numbers of your breakdown or recovery service to hand if you are a member of one. You can also see if your nearest Trust My Garage member offers a recovery service from our website. Watch our video to see what to do in the event of a breakdown too, to ensure you are prepared. If you, or your passengers, have any medical conditions, it is vital that you take the necessary medicines with you on your journey. This might be inhalers for asthma, medicines for allergy sufferers, or other life-saving medicines. It is also a good idea to have a basic medical kit in your vehicle comprising bandages, plasters, sterile wipes, scissors, etc – this is a legal requirement in some European countries. If you are stranded on the motorway with children, they will need to be kept entertained. If you carry a selection of portable games, books, DVD player, hand held consoles in a “Travel Bag for Kids”, this will help to keep them occupied for a while. Remember to keep children well fed and watered, so if you’re on a long journey make sure you pack plenty of nutritious snacks and drinks. Not every motorist carries a fire extinguisher, but it is an important piece of equipment when you regularly take longer journeys. There are over 1,000 vehicle fires on UK roads every year. Being able to extinguish a car fire quickly before it takes hold might mean the difference between having small repairs to your car or having it written off completely. If you are stranded at night a torch will be vital. You can also use this to signal your whereabouts if you are stranded in a remote area. Most modern cars have equipment so that you can change a wheel. Familiarise yourself with this equipment and how to use it. For further information, see our video on changing a wheel (link). A warning triangle will alert other motorists to the fact that your vehicle has broken down and they need to slow down. Again this is a legal requirement in many European countries. These are the ten things we think might make your journey more bearable and safe if you are stranded. Can you think of any more? Let us know below.